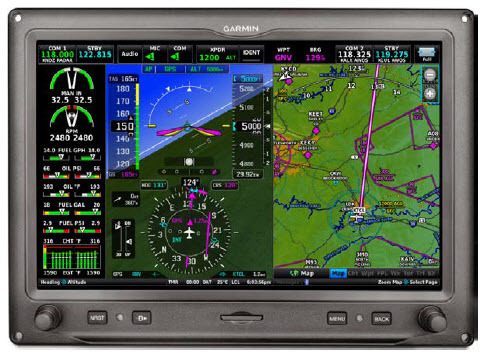 Garmin is pleased to also announce an extension to the GTN 625 promotion for new G3X Touch™ customers. Now through Dec. 28, 2018, customers who purchase a G3X touch system will have the option to purchase a GTN 625 GPS navigator complete with a data card1 and GA™ 35 antenna at a special reduced price of $5,675. The GTN 625 WAAS GPS receiver adds a certified, IFR-capable GPS position source to installations in light sport or experimental amateur-built aircraft. When interfaced to a GTX™ 45R remote mount ADS-B transponder, customers will have an ADS-B compliant installation with subscription-free traffic and weather* displayed on the GTN 325 and G3X displays. GTN 625 may also be used as the WAAS GPS position source for many other ADS-B “Out” -capable transponders, including GTX 23ES/330ES/35R/335/335R/345/345R. GTN 625 is also GPS approach ready, including LPV (localizer performance with vertical guidance) capability. To take advantage of the GTN 625 promotional price, GTN 625 must be included on a PO with a complete G3X Touch system, and only 1 discounted GTN 625 per G3X Touch system is allowed. 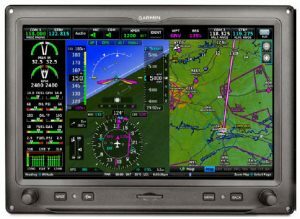 A GTN 625 navigator purchased via this program can only be used in G3X Touch installations. GTN 625 units purchased as part of this promotion cannot be combined with the “Right on Schedule” program discounts. Please refer to the Installation Policy in the Dealer Marketing Program Booklet for more info3. 1This pricing includes the Americas (010-00900-10) and international (010-00900-20) coverage area data cards. Worldwide data cards (010-00900-30) are available with this promotion and will cost an additional $100. 2GTN™ 625 must be purchased on the same PO as a G3X™ or G3X™ Touch system, and only 1 GTN 625 per G3X or G3X Touch system is allowed, GTN 625 units purchased through this promotion must be installed with a G3X or a G3X Touch system. 3Garmin Installation Policy for Amateur Built and Kit Planes requires either that the dealer provide a complete installation harness for GTN 625 with new G3X Touch systems or (if dealer is not providing panel or wiring) “Dealer provides all necessary parts and documents and has confidence that the installer is of competent skill level to ensure a safe and successful installation.” Please see Amateur Built/ Kit Plane Policy section of the Installation Policy on page 10 of the Garmin Aviation Dealer Marketing Program (available on the Dealer resource Center) for more information.